Goals by Lyle Lakay and Themba Zwane saw Mamelodi Sundowns defeat AmaZulu 2-1 to be crowned Prince Mangosuthu Legacy Cup champions. 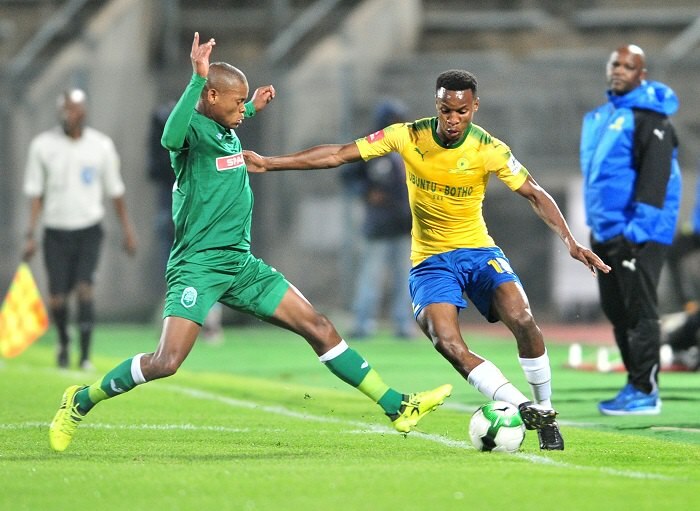 Pitso Mosimane fielded a new-look Masandawana outfit with the likes of Aubrey Ngoma, Jeremy Brockie, Mosa Lebusa, Thokozani Sekotlong and Reyaad Pieterse being handed starting berths. The Brazilians took the lead in the seventh minute when Lyle Lakay’s deflected set-piece crept into the back of the net. Ngomshould have doubled his side’s lead in the 20th minute, but the former Cape Town City man squandered an easy opportunity. Cavin Johnson’s men were level minutes after ther second-half after veteran forward Siyabonga Nomvethe converted a penalty. Sundowns restored their lead in the 54th minute when Themba Zwane latched onto a pass from Brockie before guiding the ball into the back of the net. Usuthu upped their efforts in a bid to find an equaliser in the final 30 minutes of the game, however they failed to carve out any opportunities as Sundowns ran out 2-1 victors to lift the Legacy Cup.